With the avalanche of patent lawsuits involving Apple, we try to restrict our coverage to the most significant developments such as issued injunctions, final settlements, and monetary awards. The Galaxy tablet doesn’t infringe Apple’s registered design, Judge Colin Birss said in a ruling today in London. He said that consumers weren’t likely to get the two tablet computers mixed up. More specifically, Birss ruled that the Galaxy tablets' thinner profiles and "unusual details" on the back of the devices made them different enough from the iPad that they were not too similar to Apple's design. Apple has 21 days in which to appeal the ruling. "Apple has 21 days in which to appeal the ruling." Now if Apple wants to appeal the ruling, they'll have to argue that the Samsung tablet is "as cool" as the iPad. Hahahaha... even when you win you lose Samsung. LOL.. It's official! 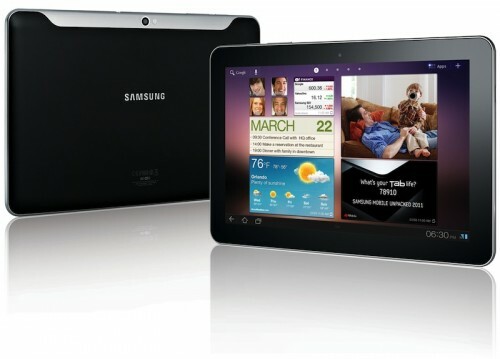 Samsung tablets not as cool as iPad.. Now there's precedent! I wish all patent cases were ruled on coolness factor. The comment is silly and ultimately meaningless. But I am sure it will be quoted infinitely here to the point of tedium. Can anyone lend this man a sense of humour? I hope it didn't take a judge saying that for people to know that it's true. I like this judge :). I've used a few Samsung tablets demo models in a Tesco nothing special and rather flimsy to be honest. I feel like Im reading The Onion.